Take your accessibility solution with you as you travel with portable ramps that can be easily transported to anywhere you need them. From singlefold and trifold ramps to threshold plates, mats and ramps, these portable ramps are built to withstand repeated use and will fit mobility devices that include wheelchairs, power chairs and mobility scooters. 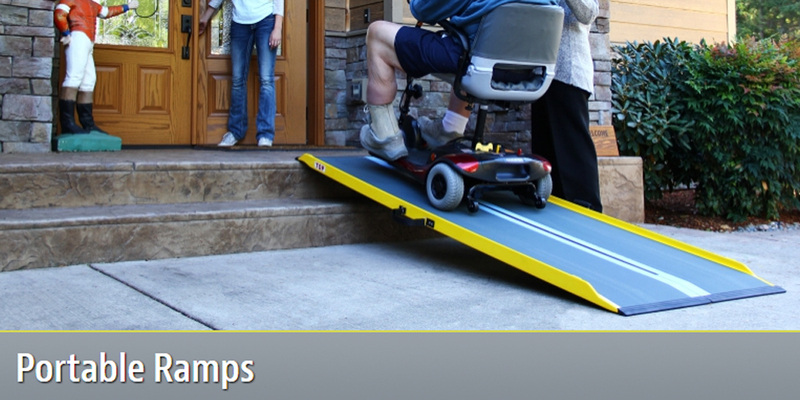 You can learn more about the portable ramps by browsing the products below. The Suitcase Singlefold Ramp is fitted with ergonomically-designed handles and a non-protruding hinge that allows you to carry it anywhere. 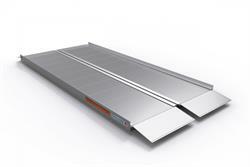 The ramp is available in 2’ to 8’ lengths and features an extruded slip-resistant tread. 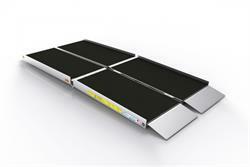 The Suitcase Trifold AS Ramp – our largest portable ramp is offered in sizes ranging from 5- to-10-feet in length. 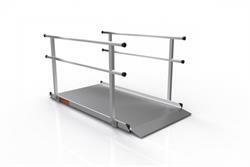 Ideal for raised landings, steps, or larger vehicles. The Gateway is made of durable aluminum, so it will not rust, rot, or deteriorate from the outdoor elements, making this the perfect ramp to improve access to your home or business. Available with or without handrails.